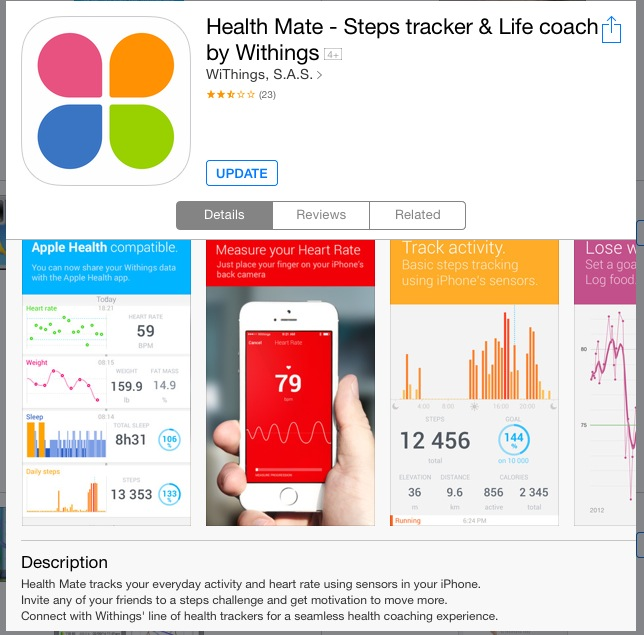 I really like my Withings App and use it daily and weekly to track my health. Each fills up dependent on how much interaction you have with the app. 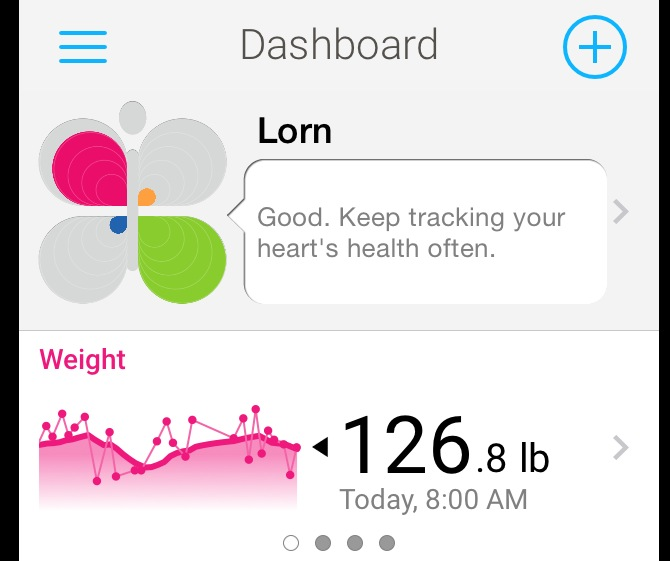 I’ve been logging my weight and body fat daily (by standing on my Withings Wifi scales, it automatically updates to the app), and I’ve been logging my Blood pressure and heart rate regularly too. So the weight (pink) and heart (green) bits are full in my app. 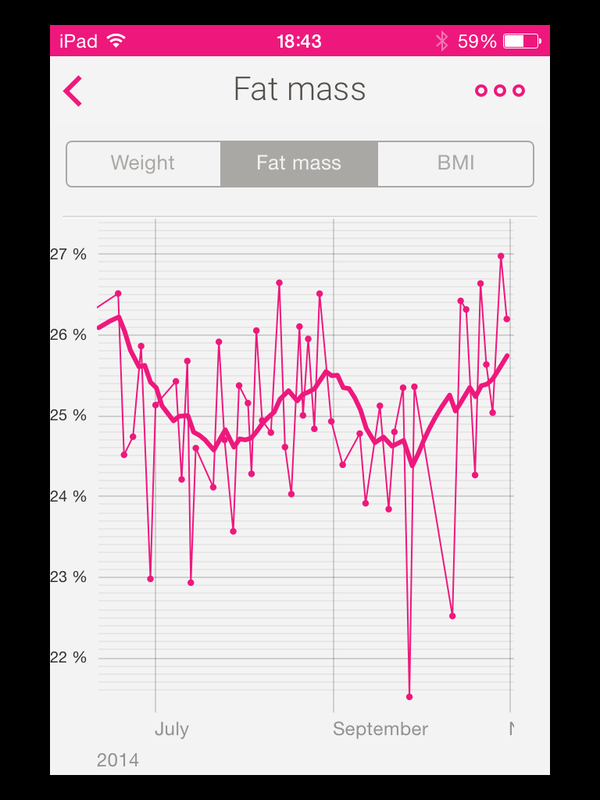 The app records your weight and body fat, as well as your bmi, and automatically does a couple of cool graphs I’ve posted before. The wifi scales are pretty expensive, and the fat % reading seems higher than my other cheap salter scales, but the automatic transfer of data is brilliant. 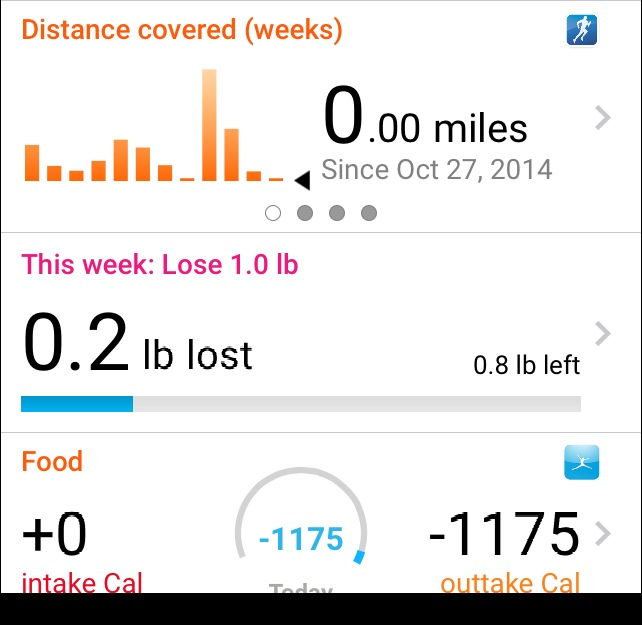 You can use the app to set weight loss goals and keep a good track on your weight and body fat. 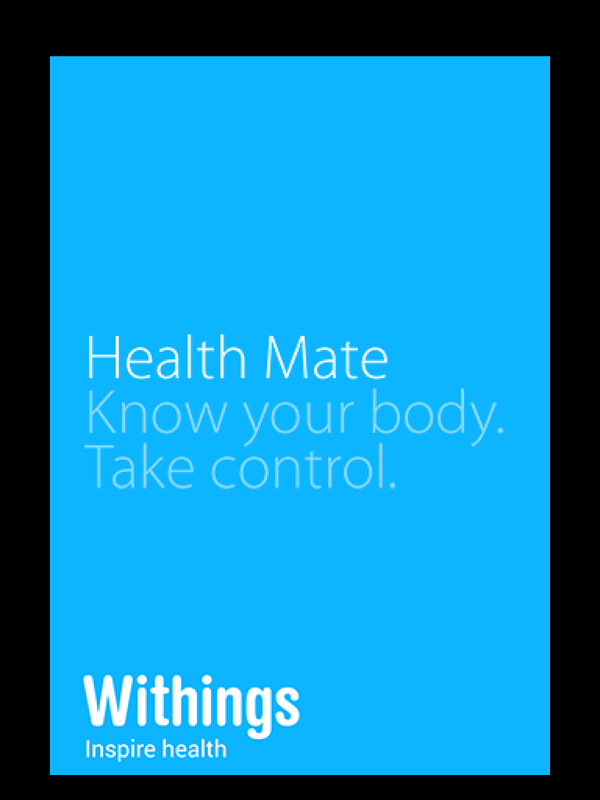 You can get a snazzy withings blood pressure reader which transfers your stats automatically too (I don’t have that), or you can log your blood pressure and heart rate manually. I have a cheap blood pressure monitor I got from amazon so I use that. 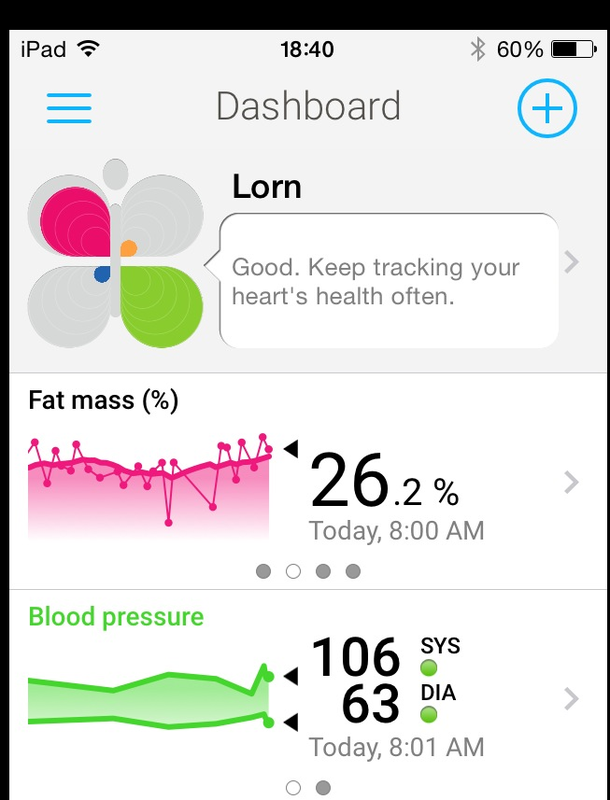 And you can measure your heart rate via the camera on your iPhone anytime, using the app. Then there’s activity and food intake. This is every it gets clever. You can sync the app to run keeper, and as long as your garmin is synced to run keeper too, your garmin activities come through on the app. You can see I haven’t logged any activities, so the app is telling me (by the orange section on the withings dashboard) that I need to do something to be more active. You can also tragic activity using your iPhone, syncing the app to record your steps. Food intake can be synced to my fitness pal, so if your logging your food on that, it all carries over to the withings app too. The only part am slightly disappointed with is that I can’t sync the sleep I record via my nike Fuelband to the app to show my sleep. 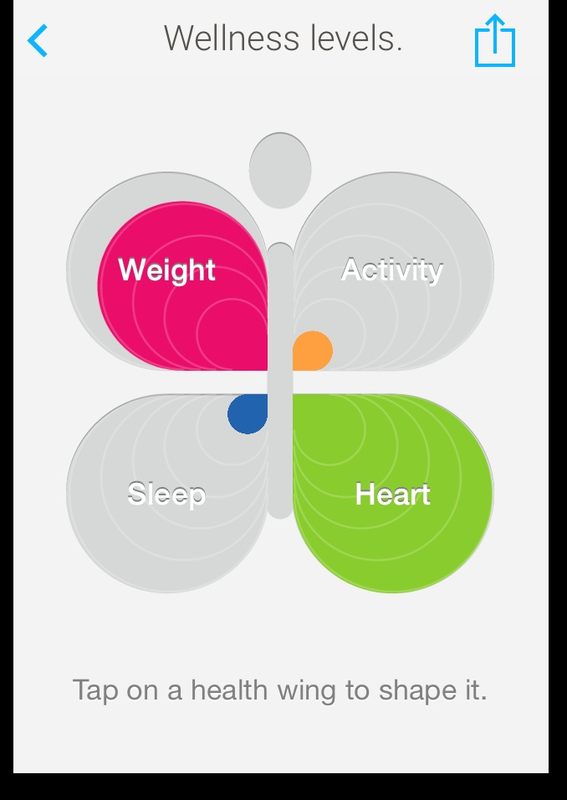 But the withings has their own activity and sleep tracker called the Pulse, which would record sleep through the app. Better not get another gadget, or I’ll have no bare arms left. 😉 Withings also has a sleep monitor for your bed that you can buy, but again, it’s more £££. The app does sync to your fuel band points and shows it in the timeline, shoeing you what% of your Fuel target you achieved.